Cultural Diversity Week - 'Proud to belong' - Diaspora Action Australia | Peace. Development. Human rights. 17 – 25 March 2018The Victorian Multicultural Commission is excited to announce Cultural Diversity Week 2018 – ‘Proud to belong’. Join us as we celebrate the everyday diversity of Victorians and reflect on what gives us a sense of belonging in our multicultural community. This year, we’re asking people to think about the role we each play in ensuring our communities are inclusive and welcoming, and we’d love you to share your story. We are also delighted to announce our Cultural Diversity Week 2018 sponsors who provide us with invaluable support to help bring the Week to life. We have been overwhelmed with the demand for tickets which sold out in record time. For those of you who have secured tickets, we can’t wait to see you for what promises to be a spectacular evening. If you have joined the waitlist, you will be notified via email in the coming couple of weeks should tickets become available. Calling all teachers and parents of budding young filmmakers across Victoria: we invite primary age children to produce a short film of up to five minutes under the theme This is what a Victorian looks like. Winning prizes for students include a complimentary family entry into the Immigration Museum, Melbourne Museum, Scienceworks and IMAX Melbourne, and shortlisted films will be screened at a temporary exhibition at the Immigration Museum between 25 March and 1 April 2018. Schools can also find a range of exciting activities to engage students in Victoria’s cultural diversity inside the new Teacher’s Resource Kit. Join us for a free, incredible day of food, music, dance, art, design and activities for people of all ages. Groove away to the beats of the amazing array of musicians and dancers on the main stage, try the deliciously diverse flavours on offer at Culture Bites, sip sumptuous coffees and teas in the Global Garden, and explore the Arts Precinct or check out the range of fun activities for kids. Stay tuned for the full program which will be released shortly! Don’t miss one of the most exciting free concerts of the year with a line-up that is set to light up Fed Square and delight young (and not so young) audiences. Keep an eye out for an announcement very soon! Show us what multiculturalism means to your generation through the lens of everyday stories. Shortlisted films will be screened at the VMC Film Festival at ACMI on 24 May, where we will present winners with some great prizes. Find out more and make a submission. The VMC Film Festival is proudly presented by the Victorian Multicultural Commission in partnership with Swinburne University of Technology. Hundreds of events are also expected to take place across the state throughout Cultural Diversity Week. 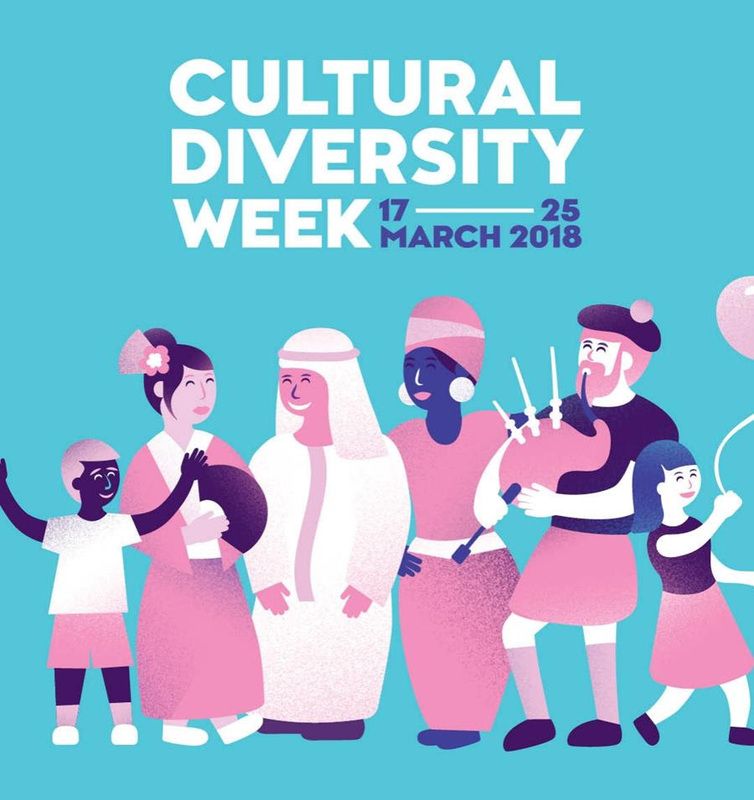 Don’t forget to register your event to access free promotional materials that bring your celebrations to life, use the Cultural Diversity Week brandmark to promote your event and share it with Victoria on our Events Calendar. Want to get others in your community involved in your celebrations? Use our full set of promotional materials to help spread the word about Cultural Diversity Week 2018. Join us for Cultural Diversity Week 2018 – we look forward to seeing you at events, promoting the week with you and having some great conversations about everyday diversity and what it means to belong. More updates to come – stay tuned to the VMC E-News and follow us on Facebook, Instagram and Twitter. For general enquiries about the Week, contact us.